Here on the ECM Blog, we talk a lot about the roles and responsibilities of records managers—but not all organizations actually have records managers. In the case of human resources (HR), maintaining employee records often falls on the HR department itself. 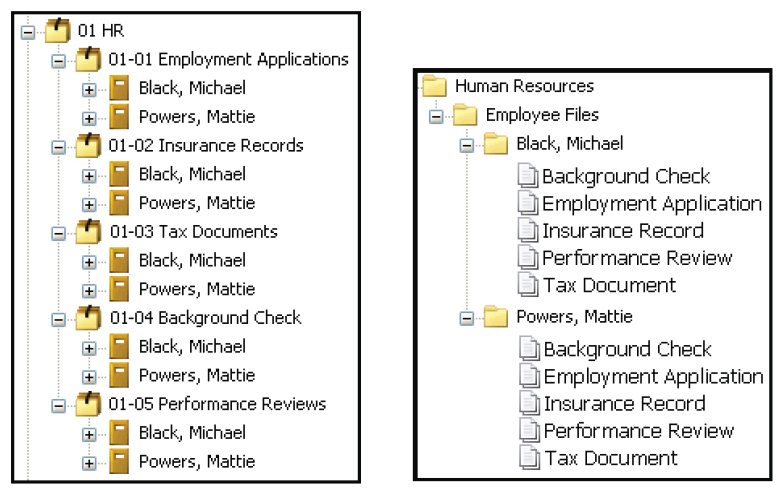 “Records management” view on the left; “regular” view on the right. If you’re interested in learning how HR processes can be automated, check out our free eBook on HR automation.